I am in love with this sentiment by The Project Bin!!!! Autumn really is my favorite color! 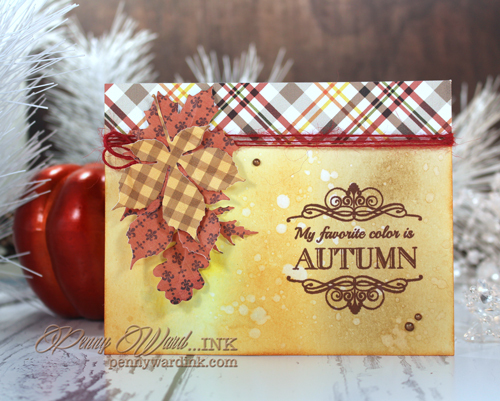 White cardstock was inked with Mustard Seed, Rusty Hinge and Vintage Photo, then flicked with water to achieve those wonderful pale spots. 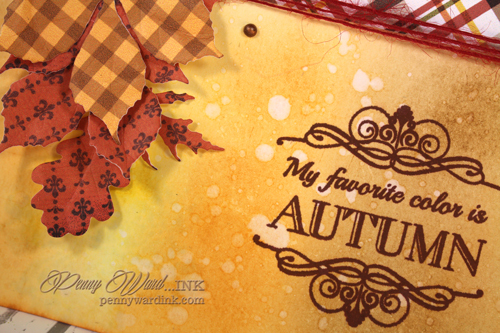 Top of card as well as die cut leaves are digital papers I found on the big WWW. 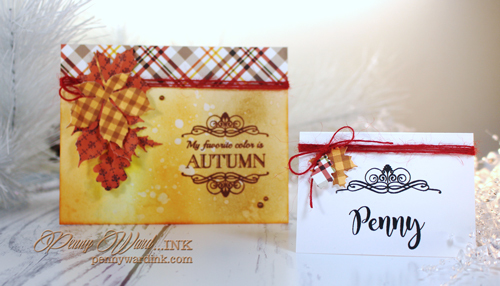 I also used the Autumn's Calling stamp set for the place card I made (top photo). Just mask off the sentiment and stamp the flourish. 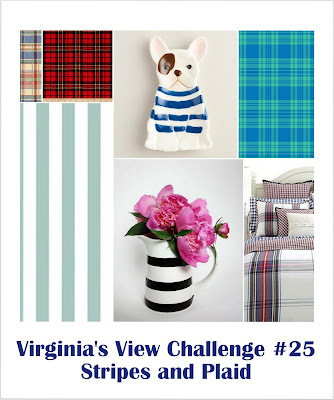 So glad that you join the fun over Virginia’s View “Stripes & Plaid” Challenge! WONDERFUL!